Here we have a description of a watchman on a city wall at night watching for the enemy that may attack the city. He is aware that the morning is coming when it will be much easier to stand watch, yet he also knows that the night will come again. He will need to remain alert and awake but especially when he is to stand watch through the night because that is the time when the enemy can have the advantage so he stays awake ready to call the city to action if he sees the enemy approaching. Today the world is engulfed by a spiritual darkness and according to God’s Word things will not get better but worse as the Day of the Lord approaches. The Lord Jesus calls us as believers in Him to be watchman. We are to watch our lives and our doctrine closely and have the added responsibility to be aware of the times in which we live and to be alert to what is happening around us and to warn both the saved and the unsaved about the Last days. As the Time of Jacob’s Trouble draws near the world will enter into its darkest hour just before the return of Jesus. The “night” used in the scripture not only speaks of the spiritual darkness in men’s hearts but also of that time of trouble and stress unequalled in history that will bring this age to a close. Not only are we to discern the times but also to be aware of the spiritual deception invading the Church. As spiritual watchman we have a responsibility to stay alert and to be spiritually sober in a world and in a Church that has by enlarge been intoxicated and deceived by the spirit of antichrist. God has called us to be spiritual watchman in these last days. We are to watch over our brethren as well as our own lives and be vigilant at all times, because our adversary Satan “goes about like a roaring lion seeking whom he may devour!” How can we be God’s effective watchmen? 1. Spiritual Watchmen require truth and faithfulness. When used in connection with prophecy the word used for “night” teaches us something about the Great Tribulation or the Time of Jacob’s Trouble. This will be the time when the world at large will enter into the greatest time of trial, testing and stress unequalled in history and one never to be equalled again! Remember the parable of the five wise virgins who kept the oil topped up in their lamps so that they could see through the night while they waited for the Bridegrooms arrival. The “lamps” or the “vessels” speak of their lives and the “oil” speaks of the Holy Spirit within their lives. The 5 wise virgins represent those who are faithful to Jesus. They have maintained their walk with the Holy Spirit and consequently understand spiritual truth in the last days and can see the light in the darkness. In the last days spiritual truth and faithfulness will go hand in hand. The wise virgins are like the watchman on the walls of the city. They keep themselves ready at all times waiting faithfully and patiently for their Lord to come for them. However, the five foolish virgins allowed the light of the Holy Spirit to go out and consequently were not ready for the bridegroom when He came back suddenly and without warning. When they tried to find the truth it was too late and they were left behind and shut out from the wedding feast of the Lamb. These foolish virgins teach us about those who do not remain faithful to Jesus. They have not maintained their walk with the Holy Spirit, consequently they cannot see their way in the darkness. They are not ready for the coming of the Lord Jesus. As believers in these last days it is vitally important that the Holy Spirit regularly leads us. Scripture says, “Those who are led by the Spirit of God are sons of God.” (Romans 8: 14) If we do not listen to the Holy Spirit then we will be led into deception. This not only applies to us as individual believers but also to the leadership in the local church. In the book of Acts we find that the leaders were very familiar with the voice of the Holy Spirit and understood His instructions clearly. When the leaders of the early church at Jerusalem had to make a decision concerning the Gentile believers we read what they said, “It seemed good to the Holy Spirit and to us.” (Acts 15:28) I dare say that this does not happen in most church board meetings today. Many churches no longer even have elders to oversee the spiritual direction of the local fellowship but instead they have committees or Leadership groups to direct the spiritual affairs of the local Church. While we do need organization and administration in the local Church it must not be to the exclusion of being led by the Holy Spirit. Unfortunately the Biblical mandate to have elders who are capable of teaching, leading and pastoring the flock is in rapid decline in most churches today. In the New Testament there were at times councils and special gatherings organized to discuss spiritual matters but in these meetings they were always open to the voice of the Holy Spirit and open to being led and guided in their decisions by the Word of God. 2. Spiritual Watchmen know when a shake-up is coming. Today the forces of spiritual darkness are rapidly increasing in the world. Satan is stepping up his program for the end of the age because he knows that his time is short. Society is rapidly deteriorating socially, economically, morally and spiritually. Things are not getting better but worse. The Lord Jesus Himself spoke of wars, famines, earthquakes and diseases that would increase in frequency and intensity and ravage this world as this age comes to its close. These things have always been around yet the Lord Jesus says that when they increase and intensify that they are the beginning of the “birth pains” of a new age. The Lord Jesus clearly tells us these things. Let’s look at what He said in Matthew chapter twenty-four verses four to eight. The Lord Jesus began His discourse by mentioning certain things that would occur prior to His Second Coming. Of course the things He mentioned have always been around but as the Age draws to a close these things will increase in frequency and intensity. In this chapter the Lord Jesus mentioned wars, famine and earthquakes once but warns of spiritual deception at least four times in the chapter itself. We need to keep in mind that He was not talking to the world but to His faithful followers not only in His time but for every believer in every age. The first thing out of His mouth was a warning about deception. Now the world is already deceived by the Devil, “the God of this world who has blinded the mind of unbelievers.” The ones he is concerned about are you and me who believe in Jesus and follow His Commandments. History has seen many false “Christs.” A “false Christ” is a man with a false anointing. He may well be able to counterfeit genuine miracles. We are told that false signs, miracles and wonders in the Church will prepare the way for the coming of the Antichrist. Listen to what Paul said to the Thessalonian believers, “The coming of the lawless one will be in accordance with the work of Satan displayed in all kinds of counterfeit miracles, signs and wonders, and in every sort of evil that deceives those who are perishing. They perish because they refused to love the truth and so be saved” (2 Thessalonians 2:9-10). The most important thing is that we must cultivate every day the love of the truth otherwise we too will be led into deception to the point where we will believe the lie of the man of Sin and be incapable of understanding or responding to the truth even when we hear it!. What did the Lord Jesus say? “If you continue in My Word then you will know the truth and the truth will set you free and if the Son makes you free you will be free indeed!” Now there have also been those who have claimed to be the Messiah Himself and history proves that many have been deceived by these imposters. (Vs. 6) “You will hear of wars and rumours of wars, but see to it that you are not alarmed. Such things must happen, but the end is still to come. As believers in our Lord Jesus Christ we must not have a “bunker” mentality but step up our efforts to preach the gospel because the “night” of the great tribulation is coming when no one will be able to work or preach the gospel in the way we can now. Remember, “The watchman replies, morning is coming but also the night.” The dawn of Jesus’ return is rapidly approaching but before it comes we will all have to pass through into the night of the great tribulation. When a woman is going to have a baby she experiences contractions or birth pains. When they occur she knows that the baby is on the way. As the contractions become more frequent and intense she knows that the baby is soon to be born. Jesus uses the concept of “birth pains” or “contractions” to illustrate what kind of things will precipitate his return and bring about the literal birth of His Millennial kingdom on earth. When the wars, the rumours of wars, nations against nations, kingdoms against kingdoms and earthquakes and pestilences begin to intensify and multiply virtually one upon another Jesus will return. If He doesn’t then the world will annihilate itself. Jesus Himself goes on to say, “If those days had not been cut short, no one will survive.” (Vs. 22) In the end the world’s only hope will be the return of Jesus Christ. This shaking will precede the coming of the Lord Jesus. Haggai the prophet says, “This is what the Lord Almighty says: ’In a little while I will once more shake the heavens and the earth, the sea and the dry land. I will shake all nations, and the desired of all nations (the Lord Jesus Christ) will come.” (Haggai 2:6-7a) This prophecy was pre-figured and seen as a type of Jesus’ Second Coming when Joshua led the Israelites against Jericho and the walls collapsed. Haggai’s prophecy was fulfilled in Jesus first coming but it will have its ultimate fulfilment in Jesus’ Second Coming. This shaking will even see the great skyscrapers of the world collapsing. Isaiah says concerning this, “In the day of great slaughter, when the towers fall” (Isaiah 30:25a) We have seen the devastating effects of earthquakes on cities. Can you image this happening around the globe and almost simultaneously? How can the human mind comprehend this kind of global catastrophe? If we belong to the Lord Jesus Christ then we will not experience these plagues mentioned in the book of Revelation just as the Israelites didn’t experience the plagues that fell on ancient Egypt in the book of Exodus. Jesus will not subject His elect to the final bowls of His wrath described in the book of Revelation. Scripture itself says, “And to wait for his Son from heaven, whom He (God) raised from the dead-Jesus, who rescues us from the coming wrath”1 Thessalonians 1:10). And again we read, “For God did not appoint us to suffer wrath but to receive salvation through our Lord Jesus Christ.” (1 Thessalonians 5:9) If we have thoroughly repented of our sins and have made Jesus Lord over our lives then we will not experience these bowls of God’s wrath. We all have a choice, Christ or the Antichrist? This issue will decide our future in this world and in the world to come! Remember Jesus’ words, “I am the way, the truth and the life: No-one comes to the Father except through me” (John 14:6). 3. Spiritual Watchmen require spiritual alertness and sobriety in everything. As believers we need to be alert and to stay awake spiritually. This is imperative for us because Satan is rapidly increasing his activities in these last days. Today in the Church God is calling His people to be spiritually “sober” and not spiritually “drunk!” If we are attached to the things of this world or to the “‘circle of merrymakers” in the Church today then we will not be ready for Jesus’ return. Remember that Jesus is coming for a spotless bride and not a harlot. Indeed the Apostle John said, “For the wedding of the Lamb has come and the bride has made herself ready. Fine linen, bright and clean, was given her to wear. (Fine linen stands for the righteous acts of the saints).” (Revelation 19:7b-8) What kind of bride is it that does not make herself ready for her intended husband? If she really loves him then she will make herself beautiful for him and desirable to him. The bride of Christ will be adorned with holiness and righteousness when He comes for her. If we are to survive all these things then we need to separate ourselves from the “‘Babylon” of this world and especially from the “Babylon” of all false religion. John also said, “Then I heard another voice from heaven say: ‘Come out of her, my people, so that you will not share in her sins, so that you will not receive any of her plagues; for her sins are piled up to heaven, and God has remembered her crimes. '” (Revelation 18:4-5) When the Lord shakes the earth he will also shake the False Church. There is no doubt that there will be a Predominant Global Empire, with a Satan possessed man at its head, and a global “Super Church” embracing all religions. Many years ago now the United Nations themselves formulated the plan for a global religion that embraces all faiths and creeds equally. They had created an Ark of Hope containing 16 commandments. An article appeared in 2002 in the Herald Sun on Monday September the second 2002 on page 21 of an extract which read, “This New World religion has an Earth Charter that contains a demand that it be enforced through the UN with an international legally binding instrument. In other words, these religious beliefs are to be imposed on us by international law.” That was back in 2002. It is only a matter of time until international and global laws are imposed on us that will inhibit and restrict the free preaching of the gospel. To say that Jesus is the way, the truth and the life and that no one comes to the Father except through Him will be a criminal offence and a slur against social and religious harmony. Ancient Rome persecuted the Christians for taking such a stand and in the last days just before Jesus comes back the last empire ruled over by the Antichrist will do the same thing. In fact the Antichrist will destroy all religion. Just before Jesus comes for His bride, true believers will need to stay alert spiritually. Luke tells us this in his gospel. Now let’s turn to another passage of scripture found in Luke chapter twenty-one verses thirty-four to thirty-six. The Bible says, “Out of the heart flow the issues of life” and again it says, “As a man thinks in his heart so is he.” If we become preoccupied with careless living where spiritual issues are concerned then we will not be ready for Jesus when he returns. Drunkenness in this context is not primarily talking about getting literally drunk with alcohol but “spiritual drunkenness”’ or “levity” where spiritual things are concerned. As we have mentioned in other studies there is a video made some years ago now of Kenneth Copeland and Rodney Howard-Brown speaking to each other in tongues and laughing with each other followed by others laughing and rolling on the floor. Then Kenneth stands at the lectern and says to a fellow Pastor, “Dennis Bourke, come on up here and take the mark of the beast.” During this whole time no one gave any exposition of God’s word. Likewise in other video clips there are people shaking and having all kinds of uncontrolled body movements including women and men writhing uncontrollably on the floor like snakes. This kind of thing has been happening already among pagan cults. Undoubtedly some of it was the works of the flesh but some of it was demonic. Most of this occurred during “The Laughing Revival”, however, this is not what the Bible calls revival. No revival ever started by people laughing, cracking jokes or by falling down and rolling on the floor with laughter. During the revivals under John Wesley, George Whitfield, William Booth and Jonathan Edwards people fell face down calling on God to have mercy on them because of the spiritual blackness of their own souls and because of their sins before a holy and righteous God. They never fell backwards into some euphoric spiritual state or into some un-definable spiritual experience. At these revival meetings under these men of God people were certainly not rolling on the floor laughing or gyrating their bodies and making animal noises! In fact both Wesley and Whitfield rejected these kinds of manifestations at their meetings. In the final analysis it’s not those who have prophesied, worked miracles and done mighty works that are accepted but those who have done the will of God in their lives. (Matthew 7:15-23) Many today in the Church undoubtedly have gifts and work miracles but if they do not have the fruit of the Spirit in their lives Jesus will reject them in the end. (Matthew 13: 24-30, 36-43) Many people are anxious today and worried about the affairs in this life. People in Noah’s time were the same way. They were eating, drinking, marrying and going about their daily lives and knew nothing until the flood came and destroyed them all. Professing Christians who have become attached to this world will suddenly and without warning be trapped in the judgment along with unbelievers. Now let’s continue and look at verse thirty-six. The two main things Jesus tells us to do are to “watch” and to “pray.” This is spiritual sobriety. (1 Peter 1:13 4:7 5:8) If we persevere in watchfulness and in prayer then we will be able to stand before Jesus when he comes back. Now is not the time for levity and spiritual drunkenness or to join in the merrymakers circle but for spiritual sobriety in all things especially in the Church of God! 4. Spiritual Watchmen will be among the faithful remnant in the last days. In the last days just before Jesus returns there will be a faithful remnant. Isaiah speaks about them. This remnant includes both Israel and the Church. “Arise, shine, for your light has come, and the glory of the Lord rises upon you. See, darkness covers the earth and thick darkness is over the peoples, (the night of the great tribulation) but the Lord rises upon you and His glory appears over you.” (Isaiah 60:1-3) In the last days, as things become progressively darker and hopeless in the world, God’s light and power will become progressively brighter in the lives of Jesus’ followers. As it says in Proverbs, “The path of the righteous is like the first gleam of dawn, shining ever brighter till the full light of day. But the way of the wicked is like deep darkness; they do not know what makes them stumble.” (Proverbs 4:18-19) The “full light of day” is the coming of the Lord! Likewise, the Prophet Daniel says, “There will be a time of distress such as not happened from the beginning of nations until then. But at that time your people-everyone whose name is found written in the book-will be delivered. Multitudes who sleep in the dust of the earth will awake: some to everlasting life, others to shame and everlasting contempt. Those who are wise will shine like the brightness of the heavens, and those who lead many to righteousness like the stars for ever and ever.” (Daniel 12: 1-3) During the night of the Great Tribulation God will have a faithful remnant. While it will not be possible to preach the gospel in the same way we do now it will still be preached by the testimony and the lives of those who remain faithful to Jesus despite the severity of the persecution under the Antichrist and his beast empire. 5. Spiritual Watchmen understand the times in which they live. Many Christians today do not understand prophecy or take the time to consider the times in which we are living. Those who do not know what the Bible teaches about prophecy and the last days are in darkness and confusion at the events happening in the world just like the unbelievers. Around 25 to 30 years ago Christians were intensely interested in Biblical Prophecy but today multitudes in the Church no longer have the return of Jesus as the central agenda. They are attached to this world and to the things of this life. In the light of world events today, especially in the Middle East and in Europe, those who love Jesus need to be eagerly waiting for His return. There will come a time of false peace over most of that will come after a time of great distress and destruction and especially the suppression and persecution of Christians. People will be so afraid of the situation in the world that they will welcome anyone who can solve the global crisis they will be facing. It may well be that the Antichrist himself will offer a solution for global peace but it will be a deception. The only ones who will really know what is going on will be those “‘Maccabees” who can see through the deception being perpetuated by the Antichrist. This small faithful remnant of true believers will be in the minority while the bulk of the professing Christian Church will compromise with the Antichrist to save their lives in this world and even participate in his activities just like the compromising Jews did with Antiochus. The faithful remnant in the last days will be the watchman who continually warns their fellow Christians, “Morning is coming, but also the night.” The faithful remnant will suffer not only the wrath of the Antichrist but also betrayal by their brethren into his hands. In the case of the Maccabees their fellow Jews betrayed many of the faithful ones who stood against Antiochus Epiphanes. Many who infiltrated the ranks of the Maccabees claiming to be true followers were in reality traitors. This will happen in the Church in the last days. Already it is happening. When Bishops and Church leaders deny the resurrection while others push for Ecumenism with the Church of Rome and dialogue with those of other religions and promote interfaith worship. The betrayal is already being perpetuated. Ultimately those who go into this compromise will betray those that stand against it. Recently well-known Church leaders signed a document called, “A Common Word between Us.” This document was presented to Christian leaders around the world by leading Muslim Clerics saying that they could all work for peace and implying that Allah was the same God worshipped by Jews and Christians. Rick warren of the Purpose Driven fame was one along with other prominent evangelicals who signed the document. Already our leaders are betraying us to this Empire of the Beast! The time is coming very soon when preaching Jesus as the only way to God will become a criminal offence as it was in the days of the Roman Empire. In the state of Victoria in Australia a bill was passed through parliament called the Racial Vilification Act that says you cannot say anything derogatory about other religious beliefs. To preach Jesus as the only way to God, and as the one who is the only Truth and the Life and that no-one can come to God the Father except through Him eventually will be seen as a violation of this Bill resulting in penalties and even prison. The only thing Hebrews chapter eleven says about money and riches is that Moses turned his back on them regarding disgrace for the sake of Jesus of greater value than the treasures of Egypt. What a contradiction it is when we see the faith prosperity and money preachers on TV and over the Internet peddling God’s word for profit and promoting Godliness as a means to financial gain! This is the seduction from within! This is the “Fifth Column” in the Church today! 6. Spiritual Watchmen build their lives on the solid foundation of God’s Word the Bible. As the “night” encroaches we need to be building our lives on the solid foundation of God’s word. Jesus tells us how we can prepare to weather the spiritual storm soon to break over the world. It is found in chapter six of Luke’s gospel. Now let’s turn to Luke chapter six verses forty-six to forty-nine. According to the words of Jesus there are only two kinds of people He recognizes in the world. There are those who are building their lives on a solid foundation and those who are building the foundation of their lives on something else. This principle not only applies to individuals but can also apply to the local Church. Whatever Church fellowship you may be in you need to ask the question “are they building the church on a solid foundation?” In this parable the Lord Jesus tells us what the foundation is that a life or a church fellowship must be built upon. Notice that the storm struck both buildings. We could say then that the storms of life hits the believer and the unbeliever alike just as the rain falls on the just and the unjust, however it is the life built on the solid foundation of God’s Word that stands when the storms of life come whether from the world, or from the flesh or from the Devil himself. Sometimes the storms of life will come from every direction, from people we deal with every day or from circumstances that seem to be out of our control or from undefined feelings and emotions that bombard our senses or from financial and economic troubles or from those things which assault the senses! Whatever the trials and tests may be only the life or the church fellowship being built on the solid foundation of God’s Word will stand. You may have a beautiful building and lots of people; you may have great worship services that titillate the senses. You may have praise and worship meetings that are filled with talented musicians and singers. You may have great motivational speakers that move you to tears. You may have “purpose driven” programmes based on secular marketing strategies for church growth or initiatives of every kind but unless what you are doing lines up with the Word of God it will all come to nothing in the end! Indeed we need to watch how we build! Notice that the man “dug down deep and laid the foundation on rock”. As an example when they are building those massive skyscrapers they spend a lot of time tunnelling down into the bedrock to make sure that the foundation will be strong enough to hold up the building. The pylons go deep into the rock. They take great care to make sure that the structure of the foundation is in the correct place. Once the foundation has been carefully laid then the building goes up in a relatively much shorter time than the time it took to lay the foundation itself. If we want to stand against spiritual seduction and darkness we need to dig deeply into the word of God. In Psalm 119 it says, “The entrance of your word gives light” and again it is written, “Your word is a lamp unto my feet and a light unto my path.” It is also written, “That by them (the scriptures) is your servant warned.” To be forewarned is to be forearmed. The Bible also says, “Where there is no vision the people perish” and again it says, “My people perish for lack of knowledge.” A casual and superficial reading of God’s word will not give us a solid foundation to stand against sin, compromise, and spiritual seduction or against the Antichrist when he is revealed. The only reason the house withstood the storm was because it had been built upon the solid foundation of a rock. That rock of course is the Lord Jesus Christ Himself and the revelation knowledge of Him revealed in the Bible. When we build our lives on the foundation of His Word, the Bible, we are building our foundation on Him. As the Bible says, “For no one can lay any foundation other than the one already laid, which is Christ Jesus.” (1 Corinthians 3:11) He is the Living Word of God made flesh. The Bible is all about the Lord Jesus Christ! He appears from the book of Genesis all the way through to the book of Revelation. 7. Spiritual Watchmen warn their brethren. Around 160 years before the birth of Jesus in the Intertestamental period the Maccabees, although small in number compared to the troops of Antiochus, warned the people of Israel what Antiochus would do when he arrived in Jerusalem. They began to warn the people about the false religious leaders who were compromising with Antiochus. They were ridiculed at first by their brethren, then betrayed and eventually systematically hunted down and killed. However, even though many gave their lives within a seven- year period they ultimately overthrew Antiochus and drove him out of the Land of Israel and re-consecrated the Temple. Just as God’s faithful remnant overcame Antiochus so the faithful remnant in the Church and in Israel will overcome the Antichrist. Ultimately the faithful believing remnant will overcome the evil forces now arrayed against the saints of God! 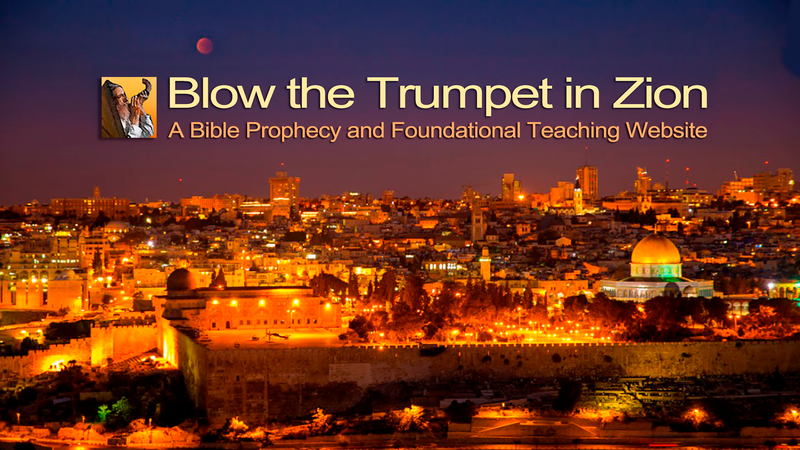 As Daniel wrote, “As I watched, this horn (the Antichrist) was waging war against the saints and defeating them, until the Ancient of Days came and pronounced judgment in favour of the saints of the Most High, and the time came when they possessed the kingdom.” (Daniel 7:21-22) When did they possess the kingdom? Only after God had destroyed the Antichrist’s kingdom and not before! Whatever you do don’t believe the “Kingdom Dominion” and “Kingdom Now” people or the “Re-constructionists” who are telling you something different! If we claim to belong to Jesus Christ then we too have a choice facing us today. We can join the revellers or sit alone. If we take our stand against the unbiblical trends in the Church we may have to stand-alone but there will be others who will stand with us. Remember when Elijah thought that he was the only one who stood against the spiritual seduction by Jezebel and the false prophets God showed him that there were 7000 that had not bowed the knees to Baal. The spirit of false religion symbolised by the witch Jezebel seemed to prevail throughout the land of Israel, however, Elijah and the 7000 prevailed in the end! Jeremiah had to stand-alone when the majority of God’s people were engaged in making money, religious hype and revelry. He was God’s watchman and saw what was coming upon Jerusalem. He says, “I never sat in the company of revellers, never made merry with them; I sat alone because your hand was on me and you had filled me with indignation. Why is my pain unending and my wound grievous and incurable?” (Jeremiah 15:17-18a) Like Jeremiah Jesus grieved and wept over the spiritual state of Jerusalem and for the coming judgment. Today multitudes of Church leaders are joining in spiritual revelry and levity, laughing, rolling on the floor and prophesying blessing and prosperity when disaster is looming for the Church in the West. You know that when the Barbarians were coming to sack Ancient Rome the emperor was putting on entertainment for the people. Like the Media today they kept the people occupied with what they wanted them to hear. It is not what they say when reporting the news but what they are failing to say. Take the daily reporting on Israel. The media is always “blaming the Jews” just like the Nazis did prior to and during World War II. There are numerous Islamic Arabic websites and Media organizations throughout the Middle-East today who are constantly calling for the annihilation of the Jewish people and for the destruction of Israel as a nation.